Wayne Barton is an American-born professional woodcarver who lives in Park Ridge, Illinois with his Swiss wife, Marlies. First given an interest in woodcarving at the age of five under the tutelage of his Norwegian grandfather, he has had a serious interest in, and love for carving all his life. 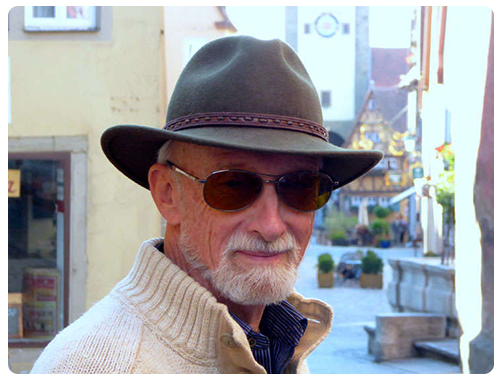 Wayne took his formal training in Brienz, Switzerland, the woodcarving center of that country. Although versed in all disciplines of carving, he specializes in chip carving and has devoted the last forty-plus years to its advancement. Single handedly, he has been the driving force of the recognition and renaissance chip carving has enjoyed in North America this past quarter century. Wayne Barton is the author of seven best selling books published in six countries and a video and all on chip carving. They are the most informative and instructional books and video on the subject available. He has developed the finest and the most popular chip carving knives used by more carvers than any other knives. These are the knives that have set the standard by which all others are judged. He also developed and pioneered the very popular ceramic sharpening stones in use today. 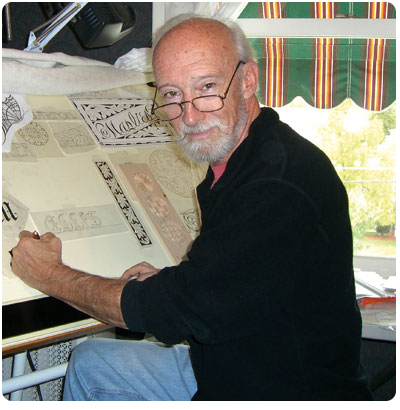 Wayne is the founder of The Alpine School of Woodcarving, Ltd., the oldest establishment in North America specializing in, and dedicated to the education, training, teaching, and encouragement of chip carving. In addition, he teaches at a variety of other venues including colleges, clubs, institutions, and organizations across the United States, Canada, and in Switzerland. He is also a visiting artist/lecturer at the esteemed Chicago Art institute in Chicago, Il. His carvings are sought after by collectors and can be found in private collections around the world. Wayne Barton’s work has been recognized and honored in special exhibition at the Swiss National Museum in Zurich, Switzerland. In 2005, he was named woodcarver of the year by Woodcarving Illustrated. Today, he continues carving, teaching and introducing others to this most enjoyable, decorative and easy-to-learn style of carving.